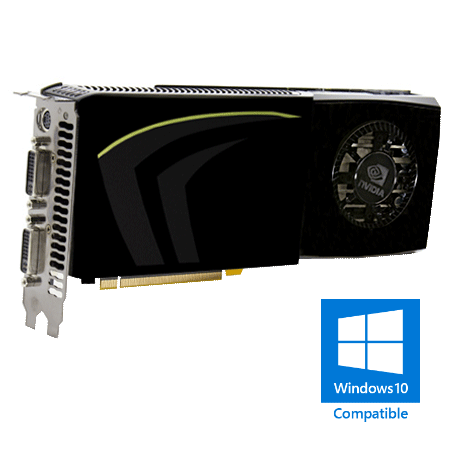 Nvidia Geforce GTX 285 PCIe x16 videokaart kopen? | That's IT! Gebruikt, maar in perfecte staat. Wordt bulk in antistatische verpakking geleverd. Deze videokaart gebruikt 2x 6-pins PCI-e voedingsaansluitingen en is twee uitbreidingsslots breed. The GeForce GTX 285 graphics card with CUDA technology not only provides a world-class gaming experience, it also delivers Graphics Plus. 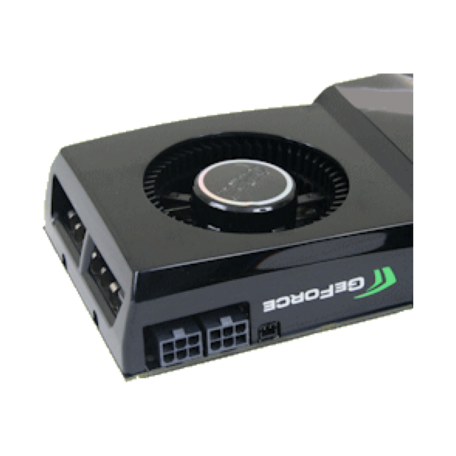 Experience jaw-dropping PhysX gaming effects, stereoscopic 3D, and lightning fast video and image processing all accelerated by the GPU. Whether it’s experiencing a new world of realistic physical motion and massively destructible environments, strapping on your NVIDIA® GeForce ® 3D Vision™ glasses to game in true stereoscopic 3D, transcoding HD videos in minutes to your portable video player, or rapidly editing digital images using Adobe® CS4, the GeForce GTX 285 graphics card does it all with mind blowing performance. Industry leading 3-way NVIDIA SLI technology offers amazing performance scaling by implementing AFR (Alternate Frame Rendering), under Windows Vista with solid, state-of-the-art drivers. NVIDIA CUDA"! Technology is the world's only C language environment that provides access to processing power of NVIDIA GPUs. It enables developers to utilize NVIDIA GPUs to solve the most complex computation-intensive challenges such as oil and gas exploration, financial risk management, product design, medical imaging, and scientific research. Supports picture-in picture content for the ultimate interactive Blu-ray and HD DVD movie experience. Recovers original film images from filmsconverted-to-video (DVDs, 1080i HD content), providing more accurate movie playback and superior picture quality. DVI connections. Supports resolutions up to 1080i/1080p, depending on connection type and TV capability. Able to drive the industry's largest and highest resolution flat-panel displays up to 2560x1600 and with support for High-bandwidth Digital Content Protection (HDCP). Built for Microsoft® Windows Vista"! Designed to run perfectly with the new PCI Express 2.0 bus architecture, offering a future-proofing bridge to tomorrow's most bandwidth-hungry games and 3D applications by maximizing the 5GT/s PCI Express 2.0 bandwidth (twice that of first generation PCI Express). 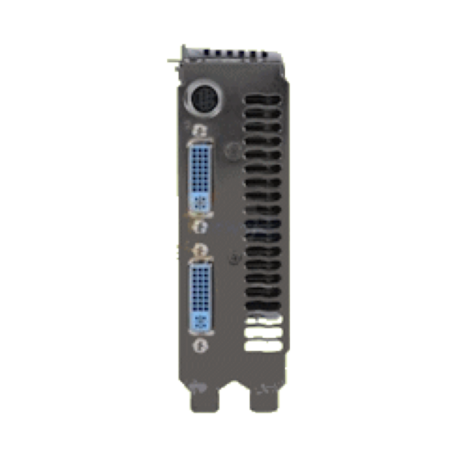 PCI Express 2.0 products are fully backwards compatible with existing PCI Express motherboards for the broadest support. 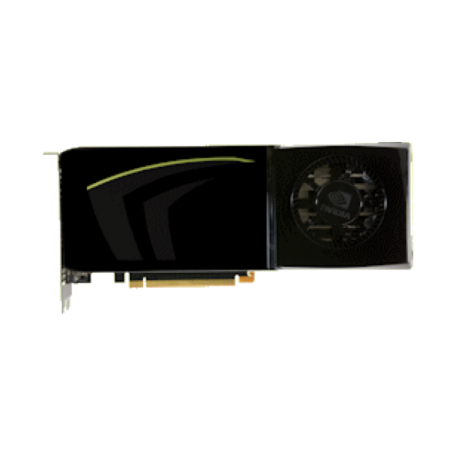 Door NVidia geproduceerd voor Dell, Dell P/N: 0D810P.